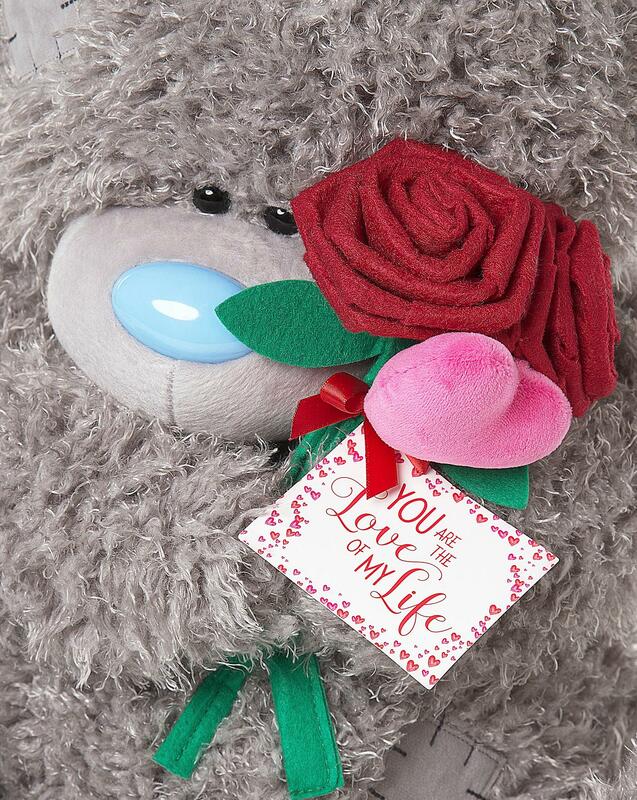 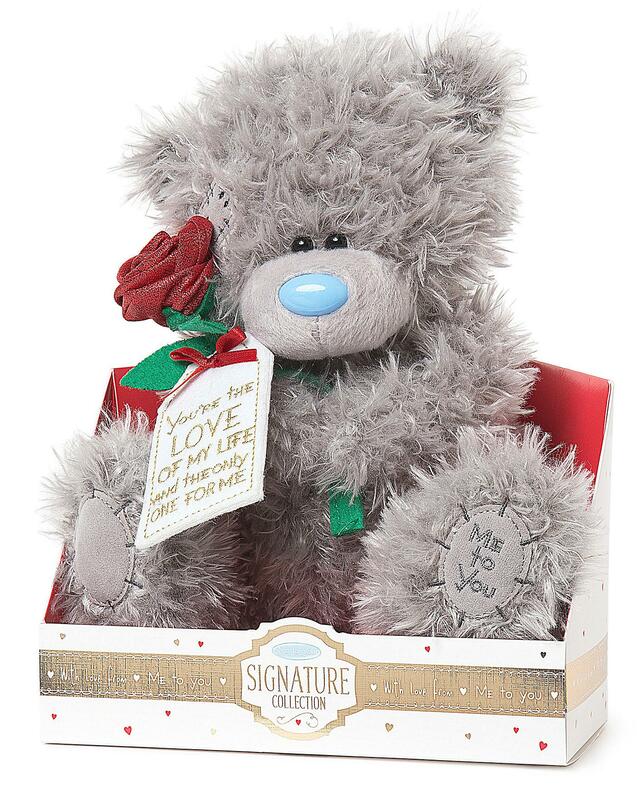 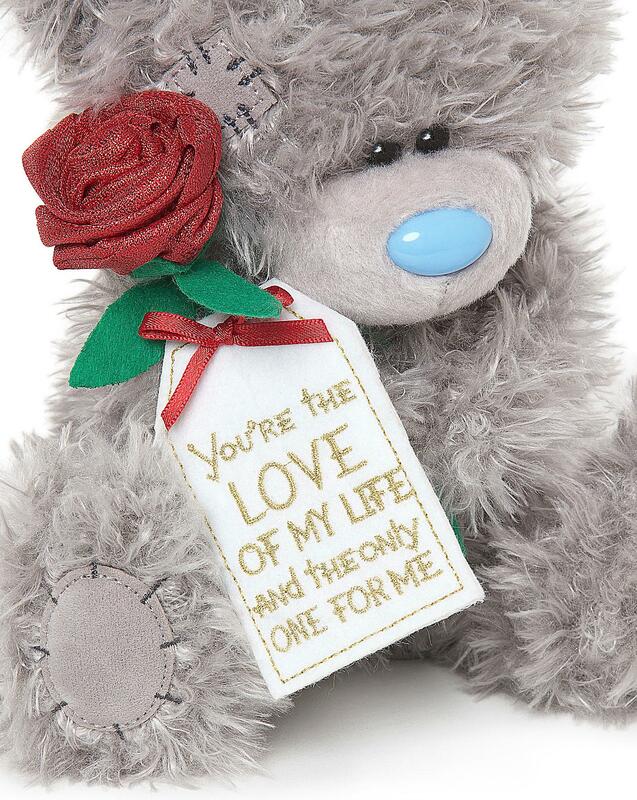 This adorable Me To You grey bear with the blue nose is holding a bouquet of sparkling red roses with a gift tag and the loving message 'You're the love of my life and the only one for me'. 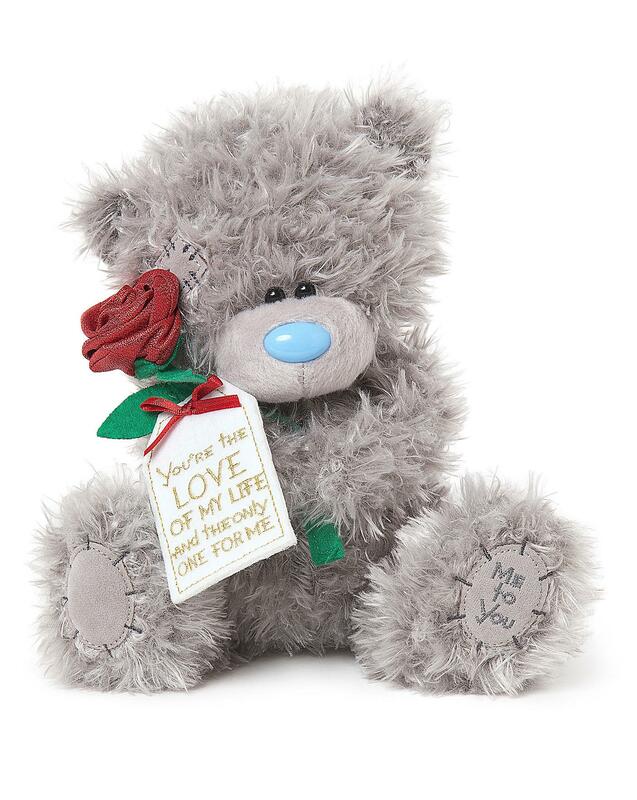 Tatty Teddy offers a timeless message of love, happiness and friendship. 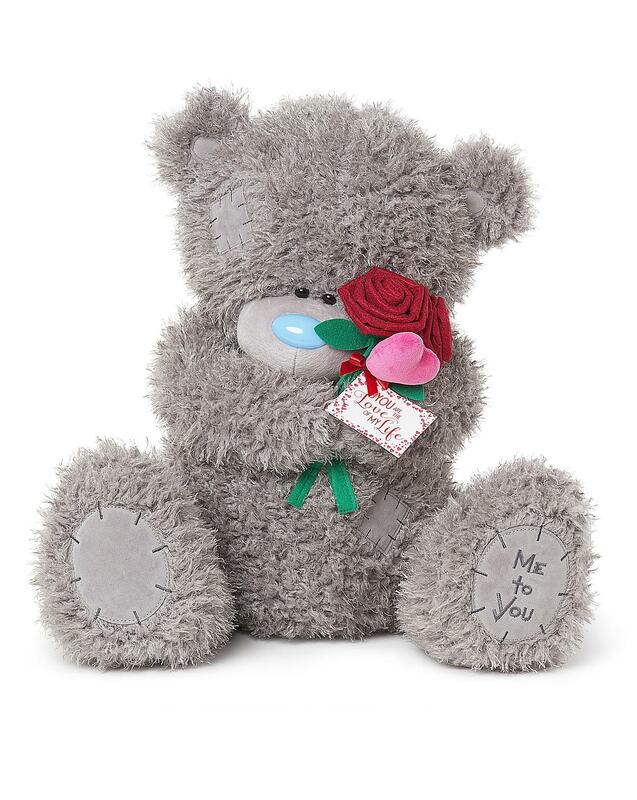 H.23 x W.17.5 x D.18cm.